I reused my painted wooden stars from last year and threw in a vase set I picked up on clearance at Ikea. 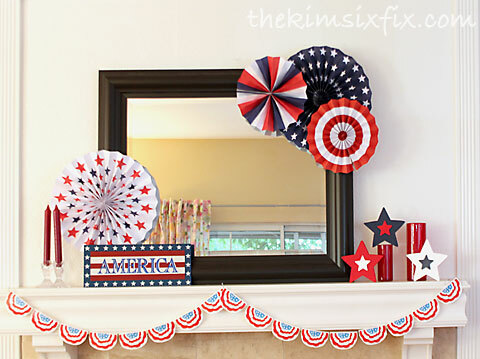 And if you can’t get enough Red, White and Blue mantels, be sure to browse though the 15 patriotic mantles I shared with you earlier this week. I got those same folded fan stars and now I know what to do with them!! Awesome idea - pinning this one! Definitely buying some of those this weekend!